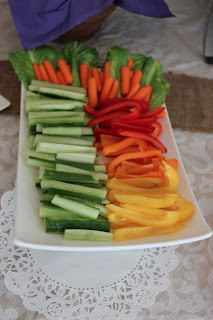 I'm so excited to share my pictures from Monica's Bridal Shower that I hosted on Sunday. There were so many details that made it very "Monica" like :) I used lots of lace, burlap, and purple! I can't forget to mention the owls. Monica loves owls, so I made sure everyone went home with an owl stamp. I also included a bag of chips - because anyone who knows Monica knows she LOVES chips!!! I once asked her what she wanted me to make sure she has on her wedding day and she said, "chips"! Here are all the details from the wonderful day! We ended the party by heading up to the roof with the ladies and taking a few pictures. It was a gorgeous day in San Francisco. The place settings had a menu, a burlap bag with an owl stamp, and chips! I ordered these little bride game cards off of Etsy. It was really fun to fill them out and go around the table and talk about them- it was a very special moment. 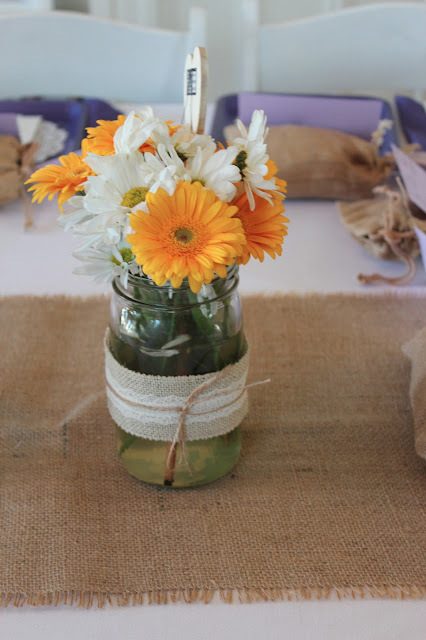 I made these mason jars with lace and burlap. Bride chalk board! Made this with materials from Michaels. Burlap bow on chair :) I made this at the last minute with some of the left over burlap. Appetizer Table - hummus, pita, veggies, grilled asparagus tartines with fresh ricotta, pesto and scallions. This was special for Monica and everyone loved the toppings and mac! The Mediterranean salad was good on the side to compliment the rich mac and cheese. The beautiful bride!! Congratulations Ms. Monica Lane - WE LOVE YOU! I love all these special touches. 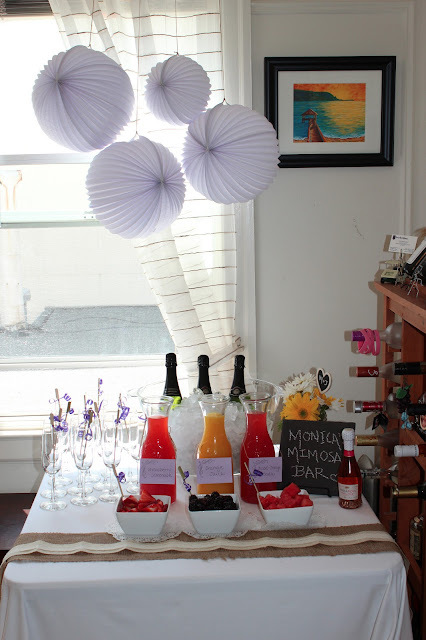 Honestly, you really have a knack for party planning. Everything is so beautiful, yet simple.